There is a longstanding joke about Sudanese statistics: 87.7% of official figures are made up on the spot. Morten Jerven’s fabulous short book is a vindication of such skepticism, continent-wide and covering the last 25 years of economic analysis and policymaking. His aim is ambitious: nothing less than claiming that economists””specifically econometricians, who apply statistics to economic data to draw general conclusions””have got Africa badly wrong, and they have done so because they have succumbed to the problem of garbage in, garbage out, on a gargantuan scale. Jerven shows how the problem of bad data, has occurred at every stage from the generation of basic data points to the inferences from datasets that give the illusion of precision. Sophisticated correlations are worth nothing if the data points are wrong. Jerven’s earlier book, Poor Numbers, was a blast of refreshing common sense, illuminating just how dubious were the numbers on which African economic policymaking was based. Essentially, econometricians had pulled a confidence trick. They failed to reveal just how shaky their basic numbers were, and tried to compensate for this failing with mathematical sophistication. His point is that econometricians commonly lack historical awareness, both in terms of historians’ methods, and also the basic facts of economic history. As a result, they try to explain something that didn’t actually happen. Africa’s chronic growth deficit didn’t happen. What did happen””as everyone who lived in the continent knows””was that African economies grew in the 1960s and early 70s, stalled in the 1980s and early 1990s, then grew again, albeit in a different fashion. Africa’s story isn’t one of chronic slow growth, but of boom, bust and boom again. There was a time-specific economic crisis””deeper and more protracted in Africa than elsewhere in the world””and that is what needs to be explained. That requires economic historians, not mathematical models. Many economists””of whom Paul Collier is among Jerven’s favourite targets””use data on governance variables from the 1990s to explain economic performance during the previous decades, arguing that these indicators explain a chronic growth deficit. As Jerven coolly points out, everyday logic requires that cause precedes effect. Moreover, economic performance can drive political and institutional outcomes””a key point made by Robert Bates in his book When Things Fell Apart. It is prima facie more plausible that the causality runs the opposite way: Africa was exposed to economic shocks, including imposed austerity measures, that led to precisely the governance and institutional outcomes that were (poorly) measured at the turn of the millennium. 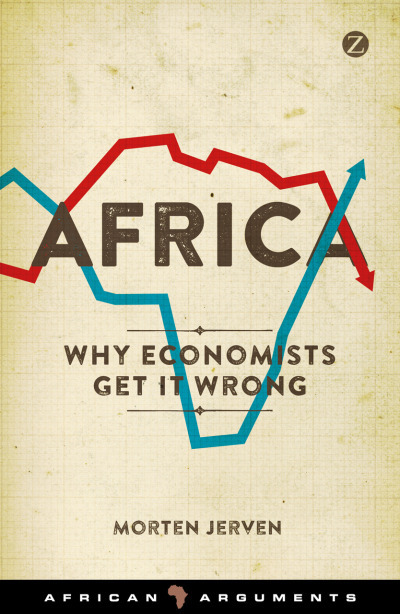 Africa: Why Economists Get it Wrong is a slender but important book. It is a charter for liberating African economic policymaking from the tyranny of econometricians. Economic discourse on Africa has always had distortions and inaccurate documentations because of many factors. One is the continuous influence of non-Africans providing economic expertise on a continent with a far away Lens. Secondly, the one “jacket- fits-all” policy prescriptions to the continent. Thirdly, lack of scientifically tested economic data on economic activities of the continent. And finally, the informalities of our economic interactions makes it impossible to provide accurate economic representations of what is actually happening on the continent. Just ignore the complexities and similarities of each country and all is mixed up with untested predictions. Good posting. The most insidious outcomes of centuries of European imperialism is the colonizing of knowledge. Hopefully, more African scholars will follow the lead of Diop, or Theophile Obenga, of Ayi Kwei Armah, of Sankara, and even books by Europeans like de Waal.